A condominium is a housing structure that is a part of a bigger unit or building and the owner of the condo own the interiors independently and the other services in the building jointly with other condo owners. When you purchase within a condominium you are agreeing to follow the rules and regulations that are specific to the community as well as covenants, restrictions and by-laws that govern the community. These rules and regulations are governed by a condominium association with a board of directors from within the community. There is usually a general manager who may be part of a large company off site who orchestrates the day to day operations and maintenance of the building’s exterior and the common grounds of the community. A townhouse is a style of housing where a row of identical houses share walls. Here the owner owns the whole unit as such. Different from a condominium you actually own the land as well as the interior. Usually you own the deck and patio private to the townhome. A Home Owners Association governs the property and will take care of the common area maintenance. 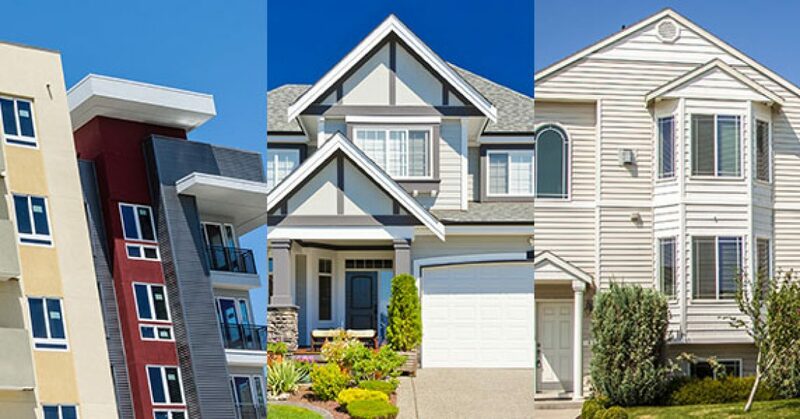 The HOA may take care of the exterior maintenance of the building and grounds around the unit but these various with each community. Sometimes they maintain the painting but not the roofs or vice versa so it’s a good idea to be investigated thoroughly before you make an offer to buy. The restrictions and rules and regulations are also very important to scrutinize before making and offer because they associations on a condo or townhome may dictate a pet policy, or whether your work vehicle can be parked at your home. As part of the purchase agreement for either a Condo or Townhouse you will be given a period of time usually 10 days to review the documents and resale certificate from the association. I realize it’s a cumbersome process, but it’s one of the most important steps in the process before your buy in to a situation. It’s extremely important to inspect the communities’ financials, and specifically the defaults and delinquencies. You do not want to carry other dead beat owners. Maybe it’s my age shining through but I find that Realtors are dressing down. As a Realtor we are in the public eye 24/7. It’s important to dress the part of someone who is successful. The consumer needs to feel good about their decision to work with you. Dressing well not only helps you feel more confident but you gain the respect of the consumer in the process. Running errands is not excuse for looking like a slob, for that is when you are most likely going to run into a person who ultimately is your next client or buyer! The vehicle you drive should also give the correct image of success. You don’t need to drive a high end car, but your car should be clean and organized at all times. Image is everything in this business. Dress the part of someone successful and leave the jeans in the closet. Ok I know it sounds like science fiction but if you are not embracing the new age of real estate your will loss out. Today the consumers are not reading the print adds anymore everything is web based and interactive. The social media outlets such as linked in, Facebook, Twitter, Pinterest, and YouTube are just a few of the tops media outlets you need to understand and embrace to be successful today. Facebook is to be treated politically correct in fashion, but do not take that literally and keep the politics away! Do not post images of you with alcohol or other inappropriate posts with vulgarity or religious tones. Your clients may not be able to afford fancy restaurants or lavish vacations so be sensitive when making post about your five star excursions. Facebook is an excellent way to build a network of contacts that you consistently keep aware that you are a Real Estate Professional and are Open for Business. Do not be discouraged that your contacts do not give you a like on every post about real estate. The important element here is to keep them aware so when they open and close chapters in their life and need a Realtor you will be the first person that comes to mind. When you meet other Realtors in other cities and states from where you practice it’s important to build a network since you want referrals. Twitter is another power house of opportunity and best of all its free! I made a post and over 900 new visitors visited my site within minutes! That is powerful stuff! Facebook is competing with Twitter with hash tags # so it’s important to tag subject matter relative to your post to maximize the influence of your post. I struggled at first with Twitter thinking what is the purpose and why does anyone care what I am doing today. You can tackle twitter a number of ways with short post of 140 characters or less. The one method is to join in on a topic of related interest and # tag your website to it. So for example if you discover a conversation on your local football team you could join the conversation and tag the fact that you have a property for sale across from the training field. You also can create your own following with relevant fun dialog that is related to what you do or the area in which you live. If you are witty you can create a following of people fast! 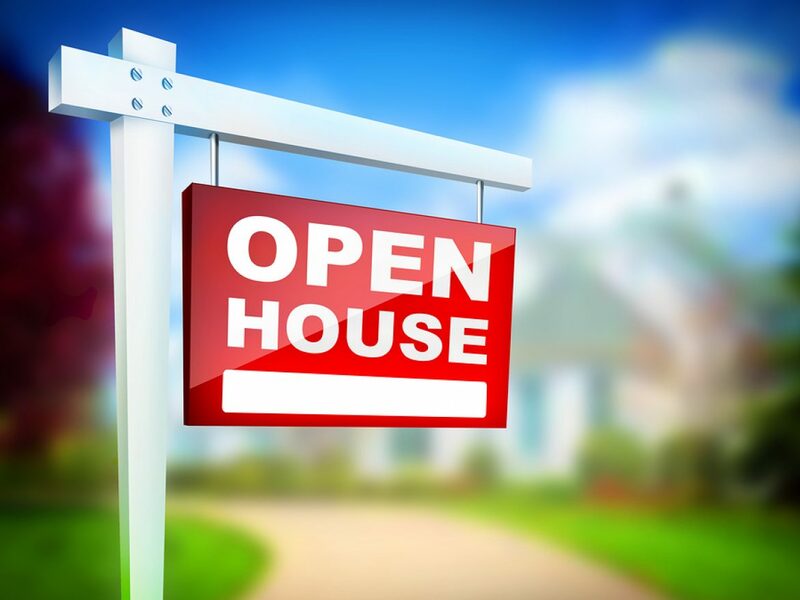 Most Realtors hate open house since it consumes the majority of your Sunday, but I love them! You need to prepare properly and advertise the property and Open House “EVENT”. Notice I refer to an Open House as an “Event” which elevates it to a different level. Use Facebook and other social media outlets to advertise the Open house days before the event takes place. When you list a home it’s very important to do a proper “Launch” or “Blitz” of the market to introduce the home and you as the formidable expert in the area. This is your time to showcase your style to the neighbors selling your services for future listings. Neighbor take notice the activity and when you have an Open House that is well attended … you will “Rock” the community and profile on how your market to everyone in the area. Another secret on the first Open House event, especially In the Spring Market is to hit Costco before the Open house and purchase 3 dozen long stem roses. Punch your business card with holes in advance and attach your card to the rose stem. Make sure you bring colorful cocktail napkins that the stems can be wrapped in as people walk through the home, it makes a lasting impression and creates a buzz as people walk around the house all holding colorful roses! It works…..try it. Selfie is a photo image of yourself taken with your smart phone and posted. It’s all the rage in Hollywood and pop culture today so join the trend and post your REALTOR SELFIE today. People are voyeuristic today thus the success of the reality TV shows. I don’t know if you feel it or not but the real estate business is the greatest reality TV show! 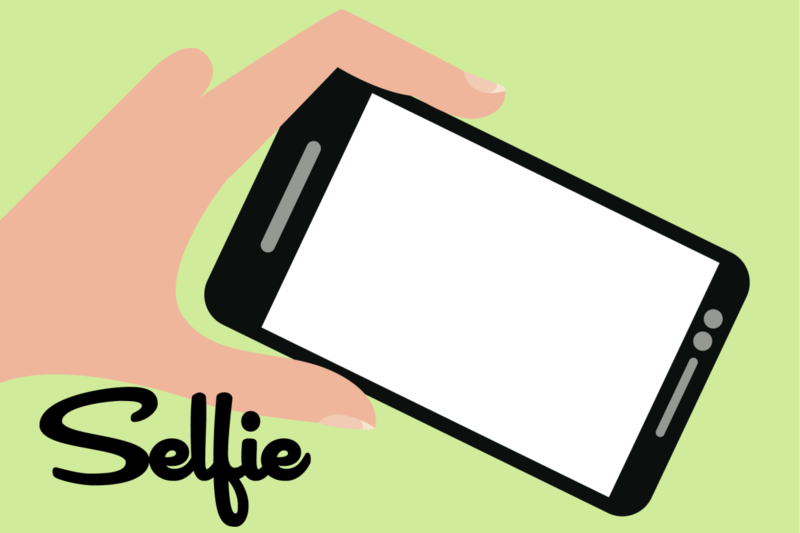 A Selfie will gain publicity for fast for you and your brand image in the market. Do a selfie in front of your sign and new listing “Post it” have fun!! Join the craze and do a Selfie today! A growing segment of the housing industry is studying what in a home matters most to women. Real-estate agents, designers, marketers and researchers say some of women’s home preferences are purely functional: Moms like dining areas with easily wiped hardwood or tile floors, not carpeting, for example, and the location of a laundry room is likely to matter deeply to a female homebuyer. Selling to women also requires catering to differences more innate. Its an emotional process for women. Women account for 85% of all consumer purchases, and they’re the major influence in the purchase of 91% of new homes. Women respond most to a home’s aesthetics, such as paint and flooring, interior design, appliances, layout and functionality. Men seem more interested in the homes spaces and dimensions as well as how efficient a home is to operate.